As a freelance writer, I provide article content writing, ghostwriting service and proofreading to a variety of clients. Particularly around the holidays, I see every potential order as a wrapped Christmas present waiting for me under the tree. I eagerly scan the available order titles in search of an attractive present that entices me to shake it and guess what’s inside. I’m never sure if the order will be one of my favorite gifts (coffee of any flavor) or a dud (lumps of coal). I won’t know what I’ve received until I tear off the wrapping or click on the title. Only after I open the box can I see if the gift inside is naughty or nice. Sometimes, the order is perfect for me. It’s in my niche and includes reasonable keywords. Other times, the order includes a big chunk of coal better known as funky keywords. They might be “car repair Houston” or several keywords I must include multiple times. Inserting these keywords into an article requires as much finesse as feigning enthusiasm for a gift of coal. With funky keywords, I’m left with three choices. Refuse to write the article and lose income (regift it). Send the client a note explaining that the keywords are misspelled or don’t make sense and hope to receive permission to change them before the deadline (ask for the return receipt). Use the keywords as they are and write a clunky article (grit my teeth and thank the gift giver). In rare cases, I vigorously pass the article onto someone else, much like I’d toss coal into the fireplace. Another writer might successfully manipulate the funky keywords, but I don’t want the task. While I rarely advise clients to use natural or fewer keywords, it is a viable choice. Clients are human, and they sometimes accidentally misspell words or type the wrong keywords into the instructions. They may enthusiastically make changes that simplify my job and provide a more pleasant reader experience. Other times, the client anticipates people typing misspelled or fragmented words into the search box, and they purposely choose funky keywords for the search engine’s sake. When I’m stuck working with lumps of coal, I try to work them seamlessly into the article. A sample sentence might sound like this. “Diagnose a check engine light with confidence when you find a reputable car repair Houston.” The sentence could sound better if I adjusted the wording, but it follows the client’s guidelines, a requirement if I want to receive payment for my work. 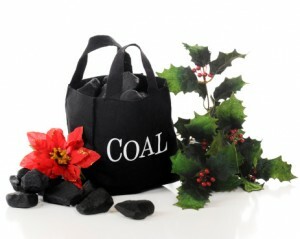 Despite occasional funky keywords that remind me of Christmas coal, I show gratitude for every order I unwrap. I don’t have to fake that gratitude when I open an order with natural keywords. In those cases, I feel like I’ve just received the best Christmas gift ever. Coffee, anyone? Jennifer T is a freelance writer available on WriterAccess, a marketplace where clients and expert writers connect for assignments.